The Magic of Color is that it demands attention! 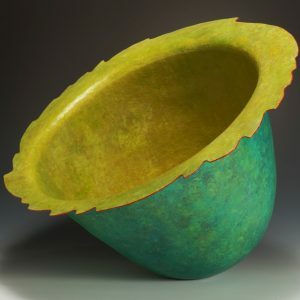 Upgrade the look and feel of your metal artwork with my game changing technique for adding any color to any type of metal. attention, like a gigantic billboard or a dramatic sunset. At other times it might also be subtle, making you want to examine things closely, like a beach pebble you look at over and over. I’ll help you find the look you want!You can make any color you can envision and it will be permanent! We’ll be using non toxic products that come in a full spectrum of colors. 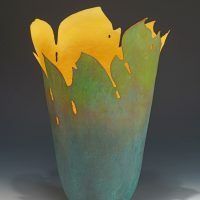 You will be able to progress at your own level and achieve tones and surface qualities that you never imagined possible on metal. will reflect your own look. graduate to coloring pieces of your own. 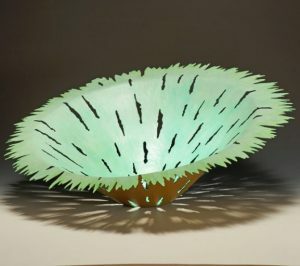 If you choose you can devote part of your time to making a unique piece of metal work which will also be colored as the class progresses, or elect to spend the entire time experimenting and becoming a color expert. 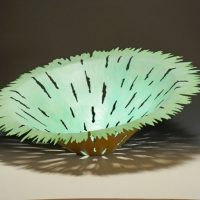 I will assist each of you in personalizing your pieces with variations of my process to achieve your own visions for your finished works.A materials fee of $125 USD cash will be paid to the instructor at the beginning of class. 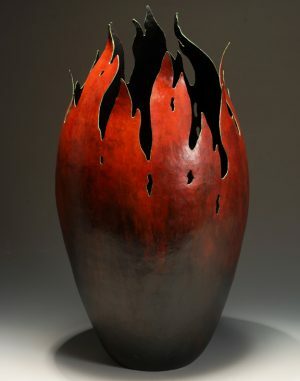 Carol Warner creates sculpture from monumental vessels of hand hammered copper holloware, pushing the scale and purpose of this technique. 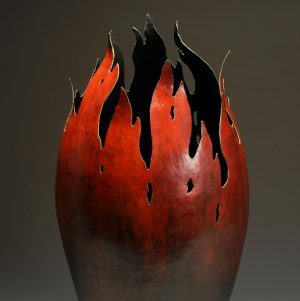 vessel forms to appear as objects found in nature. 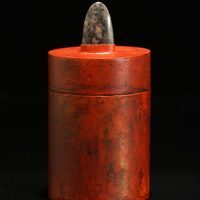 The focus on concept and outward appearance rather than materials, design and utility connotes a shift in thinking in the world of contemporary metalsmithing. Warner was born in the greater Chicago area and educated in Colorado, Illinois, Minnesota, Wisconsin, England and Mexico. 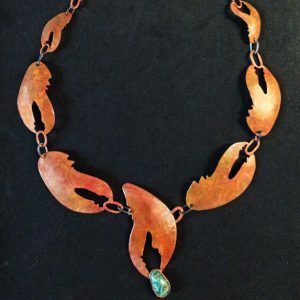 She has worked professionally and exhibited internationally for over 30 years and currently lives and work in Minneapolis, MN where she maintains her metal studio. She teaches Color on Metal in studios and classrooms around North America . March 10 – March 16, 2019 . Students invited to a welcome reception on Sunday evening, March 10. There will be lots of free time to explore Puerto Vallarta, shop or relax. Students depart Saturday, March 16. A materials fee of $125 USD cash will be paid to the instructor at the beginning of class.